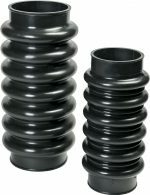 With its ISO 14001 certification, RIS Rubber demonstrates that in addition to providing high quality the business also meets the most rigid environmental standards. As far as quality management is concerned, RIS Rubber has been meeting the criteria for ISO 9001 certification for decades. ISO 14001 is mainly concerned with adequate and sustainable care for the environment; for example, how a business achieves its vision, the embedding of environmental aspects, and proper compliance. ISO 14001 sets out the core elements for the setting up, implementation and improvement of an environmental management system. Managing director Wouter Rietdijk feels that there are three reasons for wanting to achieve the ISO 14001 certification: ‘First and foremost, we think it is obvious that we should operate according to the rules. But we want to go on better, by adhering to more stringent standards than are actually required. It is also true that ISO standards confer great international prestige; stakeholders regards this type of corporate certification as an extension of chain responsibility, which is essential. And the final motivation is that with this certification we manifest a statement of intent to both our personnel and business environment. ISO sends a marvellous message, one which appeals to both the market and to our employees’. To qualify for ISO 14001, RIS Rubber – using a GAP analysis – has re-written the existing Quality Management System and optimised it in the direction of the current QESH Management System (Quality, Environment, Health & Safety). Concrete actions, such as the further refining of the waste sorting process, an increase in recycling and further reduction of Co2 emissions, as well as research into energy-saving measures, have all been incorporated in the management system. 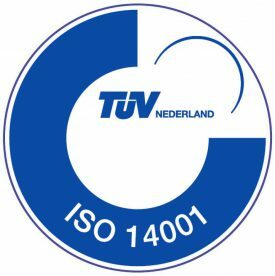 TÜV Nederland carried out a certification audit at RIS Rubber on the 2nd and 6th of February 2018, and the results provided more than enough reasons to award the business ISO 14001:2015 certification. Even though RIS Rubber is proud of this recognition, the company is busy exploring possibilities to operate at even more enhanced levels of sustainability and responsibility. Says managing director Wouter Rietdijk: ‘Wherever we see the potential for improvement, we will engage. Business certification is not an objective in itself; rather, we consider it to be a tool for achieving ongoing improvement for all aspects of the business’.